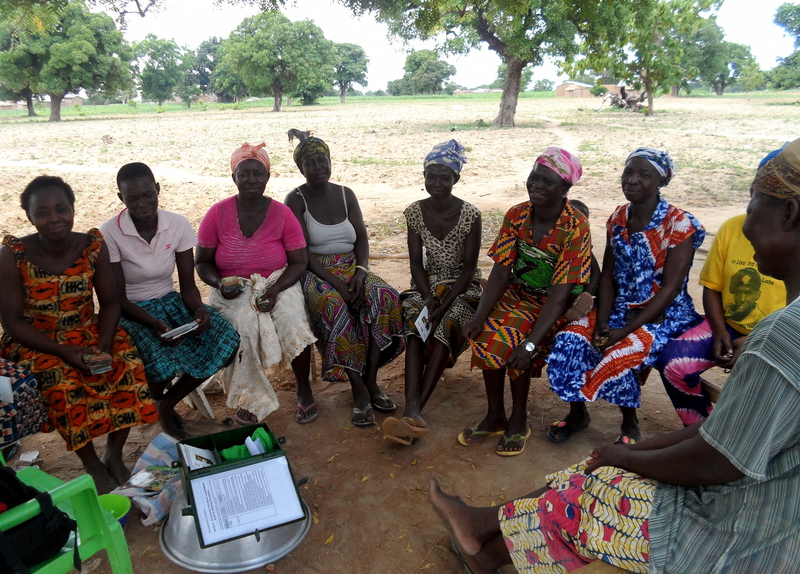 Trax Ghana works with rural farming communities with the intention of supporting self-reliance within the communities for food and income production. There are a few ways that developing self-reliance is built into the Trax approach and our projects. Trax uses a participatory method when working with farmers – the communities identify their own needs, priorities, and how they would like Trax to support them in overcoming the challenges they face. This approach helps to build the capacity of farming communities in identifying and solving their problems themselves, which supports their self-reliance once Trax have ceased working in partnership with them. One feature of the Trax program is the establishment of Community Trainers. These are individuals who have been voted by each farmer group to receive additional training from Trax in methods of sustainable agriculture, alternative livelihoods, and group management. The Community Trainers are then responsible for assisting their farmer group with governance, management of project activities, and farmer-to-farmer learning. Through this method, the farmer groups are able to call on their Community Trainers for support, enabling self-reliance within the communities Trax support. These two features of the Trax approach support the social elements required for sustainability. Trax Ghana recognises that sustainability works within three sectors: social, environmental, and economic. Trax also supports environmental and economic sustainability through project activities. Our Sustainable Agriculture and Environmental Conservation projects develop environmental sustainability, while the Alternative Livelihoods and features of the Sustainable Agriculture, Gender Equality, and Education projects support economic sustainability. Trax aim to develop the capacity for self-reliance in the communities where we work, in order to enhance social, environmental and economic sustainability. This entry was posted in Sustainability and tagged agriculture, Communities, Education, Environment, Farmers, Gender Equality, Northern Ghana, Self-Reliance, sustainability, Trax Ghana. Bookmark the permalink.